London based Luxury wedding cakes designers Sweet Hollywood present our Pretty In Pink Wedding Cake, which is beautifully finished off with luxury flowers. 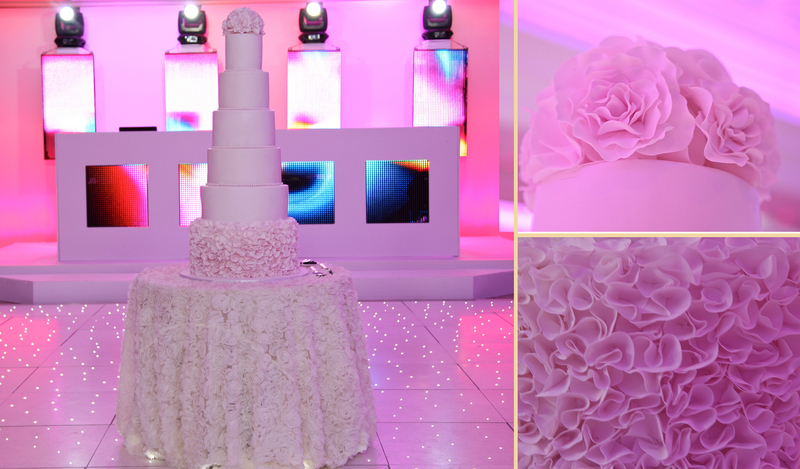 Like all Sweet Hollywood wedding Cakes, the flowers and the design can be customised to match your theme or outfit. Furthermore this and other cakes can be made Egg Free Wedding Cake / Eggless Wedding Cake to suit your dietary requirements. Furthermore as part of of service we can deliver anywhere in London and surrounding counties.